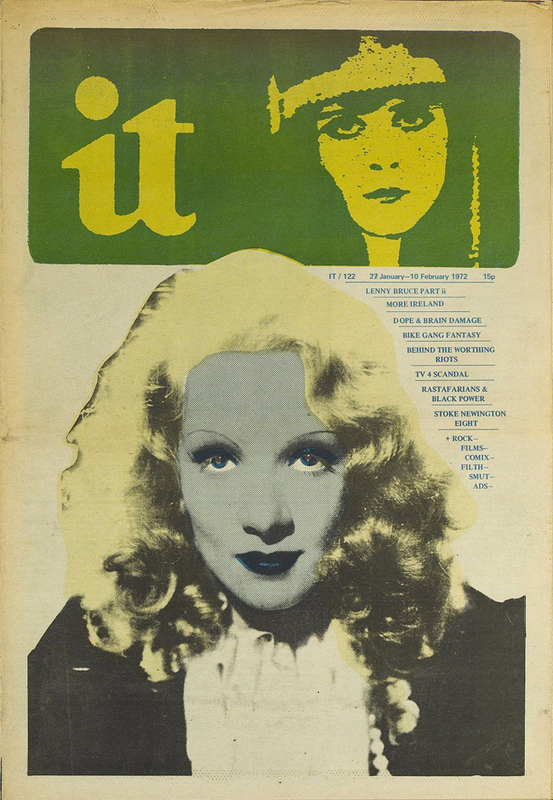 This entry was posted on 8 August, 2013 in homepage and tagged 1972, International Times archive, Marlene Dietrich. Bookmark the permalink. Do you have any original photos, posters or articles or any print at all relating to the 14 hour Technicolor Dream event that took place at Ally Pally in 1966? If not, would you be able to put us in touch with someone who might?